The US military budget will reach 639 billion dollars in 2018 thanks to Donald Trump’s intention to significantly increase it by 52 billion dollars. The basic budget of the Pentagon is 574,5 billion dollars; 64,6 billion dollars go for costs on Overseas Contingency Operations. In this case, the US Air Force gained a serious bonus and its military command took a decision on keeping the relic of the Cold War – a spy aircraft Lockheed U-2 Dragon Lady. Putting aside the decrease of defense costs that was started by Barack Obama administration, the new presidential administration announced that it planned to invest 6,7 billon dollars into restoring “the military power of the US in order to protect its interests home and abroad”. Besides, the US Air Force will receive 183 billion dollars, which is 6,9% higher than it was in fiscal year 2017( a new fiscal year starts on October 1). The Air Force will receive 84 combat aircrafts and, also, 70 fifth-generation multirole fighters F-35. However, the most important thing is that, having received additional financing, the command of the US Air Force decided to retain the strategic reconnaissance aircraft Lockheed U-2 Dragon Lady in service which is considered as a main symbol of the Cold War. This ultra-high altitude reconnaissance aircraft (high-altitude 21,3 km, distance 2,8 thousand km) was specially designed so as to surveille the territory of the Soviet Union and be out of reach of radar stations, fighter-interceptors and air defense systems. The first flight of U-2 was made in 1955, however, since 1957, 20 aircrafts have been flying actively in the interest of Central Intelligence Agency (CIA). 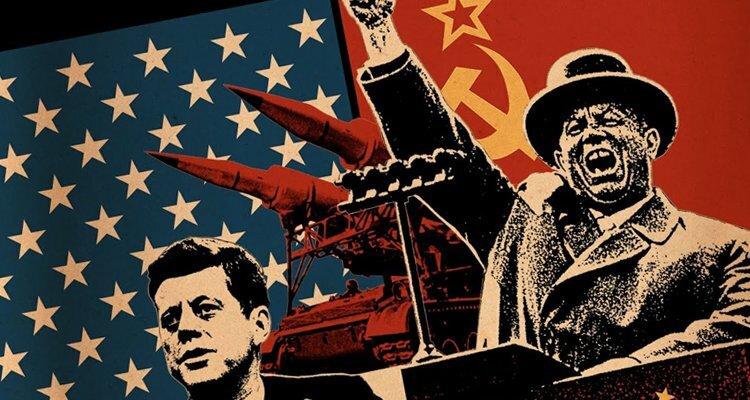 Although, the aircraft was military and operated by an Air Force pilot, US president Dwight Eisenhower did not want a military aircraft enter secretly the airspace of the USSR because it could become a reason for the third World War. In fact, according to the US law, CIA is regarded as a civil organization not as a military one. The spy aircraft U-2 was considered as the most invulnerable aircraft. But the Soviet air defense troops proved the opposite view. The aircraft U-2, operated by the captain of the US Air Force, Gary Powers, was shot down by the anti-aircraft missile system (ЗРК) С-75 “Dvina” in the Sverdlovsk area on May 1, 1960. After this failure, the aircraft was revealed and became worldly famous in a negative way. No spy aircrafts flew over the USSR since then. Powers stayed alive and was condemned for spying. Later, he was exchanged for the Soviet intelligence officer, Rudolf Abel. Besides, the anti-aircraft missile system (ЗРК) С-75 became a nightmare for spy aircrafts U-2. The US delivered several U-2 aircrafts to the Air Force of Taiwan, however, the Chinese air defense troops shot down four of them with the anti-aircraft missile system C-75 in 1962-1965. The Soviet anti-aircraft missile system (ЗРК) С-75 “Dvina” destroyed an American aircraft U-2 on October, 27, 1962, during the Caribbean crisis. The story with dismissal The Pentagon has been decreasing consistently its costs since 2011. In March, 2014, it came up with a project on removing from service the attack aircrafts Fairchild-Republic A-10 Thunderbolt II and reconnaissance aircrafts U-2 Dragon Lady. It was easy to remove the attack aircrafts because they were replaced with the fifth-generation fighters F-35 Lightning II. The out-of- date aircrafts U-2 had to be replaced with unmanned (UAV) surveillance aircrafts RQ-4 Global Hawk. However, the military resisted to it for a long time, as well as the company-designer of the aircraft Lockheed Martin did, and explained that unmanned surveillance aircrafts RQ-4 Global Hawk could keep up with the spying capability of the aircraft U-2. They wanted to prolong the service term of the aircraft U-2 till 2023. However, the US congress rejected to endorse this initiative. Financial considerations also played a quite important role. The cost of one flight hour of U-2 is 32 thousand dollars and one flight hour of the unmanned surveillance aircrafts RQ-4 Global Hawk costs 24 thousand dollars. It seemed that the destiny of the spy aircraft was settled but, suddenly, the Ukrainian crises happened. The anti-Russian hysteria started and it was very useful for the Pentagon and European military. The military budgets began growing up and the NATO started moving orderly to the Russian boarders. All types of spy aircrafts started flying near the boarders of Russia and the Russian Aerospace Forces chased them away time after time. Now, the militarist, Donald Trump, became the head of the White House and the military received a carte blanche, and the strategic spy aircraft stayed in service. The Air Force includes 32 aircrafts U-2, five of them are a double seated version and used for training and two of them fly in the interest of NASA. The US Air Force explains that it is necessary to use all opportunities for gathering intelligence information while the intensive military-political situation exists in the world. However, there is an undeniable symbolic moment. The aircraft U-2 is the symbol of the US - USSR confrontation during the period of the Cold War. Russia is a successor of the USSR and the US has returned to this status and the US military needs this machine that indicates that the Cold War did not end up and it was just a break.